If you are looking to purchase a condo/hotel unit that has a great reputation, offering wonderful rental income, Floridays Resort Orlando is right for you. Floridays Resort offers 2 and 3 bedroom suite accommodations and is located on the World Famous International Drive in Lake Buena Vista near SeaWorld. It is also close to the Orange County Convention Center and the very popular Premium Outlet Malls. Experience Floridays Orlando Resort!!!! Floridays is rated among the top hotels in Orlando by Trip Advisor. Great for family vacations, and/or investment purposes THIS FLORIDAYS CONDO HAS RECENTLY BEEN RENOVATED AND LOOKS LIKE BRAND NEW! This well designed condo sleeps 8 and comes fully equipped to meet all your vacation needs. Views, Views, Views! Fantastic views of this 3rd floor condo are awaiting you and your family when visiting Orlando. RECENTLY REMODELED in 2018 this condo comes Fully Furnished and offers tons of space with two bedrooms, two full baths, and a full kitchen with Stainless Steel Appliances. The living room and dining room combination allows an easy flow from the front to the back of the condo. Location Location Location Imagine this as your second home with a return on investment!! PENTHOUSE!! PERFECTLY CENTERED . THE MOST STUNNING CONDO IN THE WHOLE RESORT. BEAUTIFULLY POSITIONED. LOCATION LOCATION LOCATION. PENTHOUSE UNIT IN Building C, with its lovely pond walk through to the private beach, Grand pool, Lobby, cafe, bar and shop and Starbucks. Location Location Location GRAND POOL UNIT !!. Opportunity to invest in a Building B unit, by the Lobby, Club house, Grand pool , Palm Cafe and Pool bar and shop serving Starbucks and Fitness Center. This 2 bedroom is breathtaking! FULLY FURNISHED INVESTMENT CONDO. Super High income yielding, state of the art furnishings. Named TripAdvisor's #1 Family hotel in the U.S.and #5 in the world in 2016 and Consistently in the top 5. 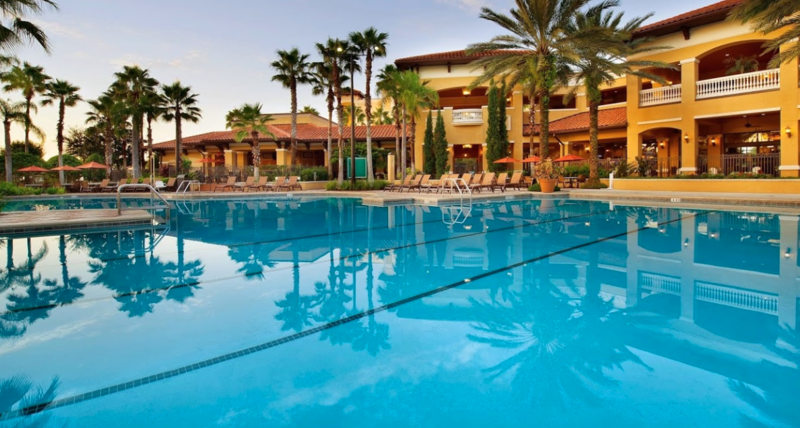 Floridays Resort is Full-service Luxury Resort located in the center of all the action, between Lake Buena Vista and International Dr. Orlando FL, perfect connexion to all the amusement parks from Sea World to Universal to Disney.